Introduction to Stochastic Processes with R is an accessible and well-balanced presentation of the theory of stochastic processes, with an emphasis on real-world applications of probability theory in the natural and social sciences. The use of simulation, by means of the popular statistical software R, makes theoretical results come alive with practical, hands-on demonstrations. 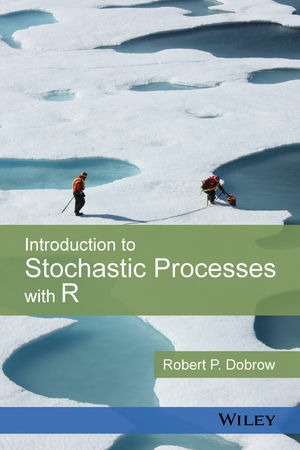 Introduction to Stochastic Processes with R is an ideal textbook for an introductory course in stochastic processes. The book is aimed at undergraduate and beginning graduate-level students in the science, technology, engineering, and mathematics disciplines. The book is also an excellent reference for applied mathematicians and statisticians who are interested in a review of the topic. Robert P. Dobrow, PhD, is Professor of Mathematics and Statistics at Carleton College. He has taught probability and stochastic processes for over 15 years and has authored numerous research papers in Markov chains, probability theory and statistics.